Weddings can be a blur…lots of planning, logistics, guests and…will anyone remember this later? Yes. Especially if the newlyweds get a lovely gift that means something to them. Fromagination carries gifts of taste for the happy couple. See the selection that starts below! Mark the happy event with a token from Cupid. 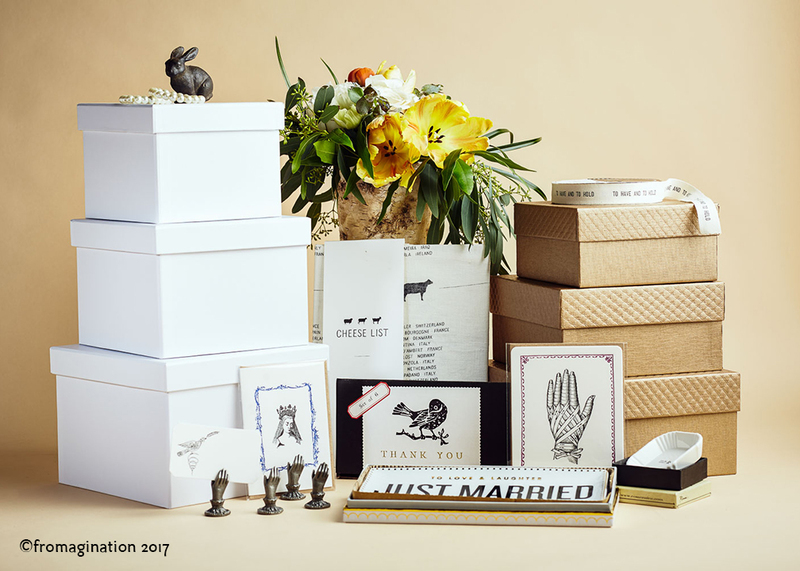 Fromagination carries wedding gifts that send a message. See our plates and other items that celebrate the couple. We also carry cards, books and…if you’re really at a loss…locally made wine, beer and spirits! Fromagination has gifts of a unique nature in its Vintage Finds section. Textiles, ceramics, metal ware and other objects. These are for those who like to entertain and set a great table! Perhaps your gift recipients prefer to eat their gifts. Fromagination carries a wide variety of wonderful and locally made companion foods, which pair wonderfully with artisan cheeses. Crackers, preserves, honey, condiments and chocolates. Yum.